Due to the heterogenous lipid environment in which integral membrane proteins are embedded, they should follow a set of assembly rules, which govern transmembrane protein folding and topogenesis accordingly to a given lipid profile. Recombinant strains of bacteria have been engineered to have different membrane phospholipid compositions by molecular genetic manipulation of endogenous and foreign genes encoding lipid biosynthetic enzymes. Such strains provide a means to investigate the in vivo role of lipids in many different aspects of membrane function, folding and biogenesis. In vitro and in vivo studies established a function of lipids as molecular chaperones and topological determinants specifically assisting folding and topogenesis of membrane proteins. These results led to the extension of the Positive Inside Rule to Charge Balance Rule, which incorporates a role for lipid-protein interactions in determining membrane protein topological organization at the time of initial membrane insertion and dynamically after initial assembly. 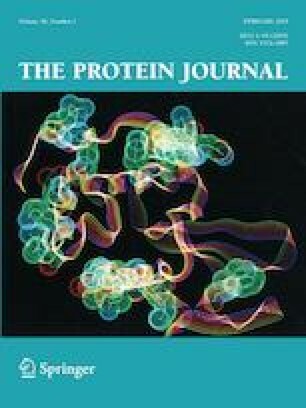 Membrane protein topogenesis appears to be a thermodynamically driven process in which lipid-protein interactions affect the potency of charged amino acid residues as topological signals. Dual topology for a membrane protein can be established during initial assembly where folding intermediates in multiple topological conformations are in rapid equilibrium (thus separated by a low activation energy), which is determined by the lipid environment. Post-assembly changes in lipid composition or post-translational modifications can trigger a reorganization of protein topology by inducing destabilization and refolding of a membrane protein. The lipid-dependent dynamic nature of membrane protein organization provides a novel means of regulating protein function. This work was supported in whole or in part by National Institutes of Health Grant GM R01 121493 and the John Dunn Research Foundation both to W. D. and the European Union Marie Skłodowska-Curie Grant H2020-MSCA-RISE-2015-690853, NATO Science for Peace and Security Programme-SPS 985291 and Program of Competitive Growth of Kazan Federal University to M. B. No human subjects or animals were used by the authors.